Dr. Maria Scouros founded the Houston Cancer Institute in 1984. She is Board Certified in Medical Oncology with an international reputation for practicing state-of-the-art medicine with a commitment to excellence. Dr. Maria Scouros received her training in Medical Oncology at M.D. Anderson Cancer Center, Houston, Texas after completing her medical training at the Royal Free Hospital Medical School, London, UK. She also served on the faculty of M.D. Anderson Cancer Center before founding the Houston Cancer Institute, PA in West Houston. She is on the staff of multiple hospitals in Houston. Dr. Maria Scouros has brought new advances in cancer therapy to the Houston community she serves. Over the years, she has implemented new treatments, such as interleukin therapy, autologous bone marrow transplantation, monoclonal antibodies and anti-angiogenesis therapy in addition to making available new chemotherapy and other regimens to all of her patients. Her reputation for integrating a multi-modality approach to the care of her patients ensures them access to all the tools that are available to fight their cancer. Being multi-lingual, Dr. Scouros helps patients from around the world understand their options and treatment plans in their own language. Family members and caregivers are included in her care and compassion. She respects and answers their questions and concerns. No one wants cancer, but when it strikes, patients can find comfort in Dr. Scouros’ knowledge, compassion and personal care. At the Houston Cancer Institute, the journey to health is a partnership between physician and patient. Dr. Liu received her Hematology/Oncology training at the Baylor College of Medicine in Houston, Texas and is Board Certified in Internal Medicine, Hematology and Oncology. Dr. Liu completed her Internal Medicine Internship and Residency at the New York Medical College in the Richmond University Medical Center in Staten Island, NY. She also holds a PhD in Pathology from the University of Southern California in Los Angeles, CA. Dr. Liu is a member of the Texas Medical Association, the Harris Medical Society, the American Society of Clinical Oncology (ASCO), and the American Society of Hematology (ASH). Dr. Liu received her Medical Degree in 1992 from the Shandon Medical University, Jinan, Shandong Province, China. Dr. Yan Zhou, M.D., Ph.D.
Dr. Zhou is Board Certified in Internal Medicine and Medical Oncology. She received her Fellowship training in Medical Oncology at the University of Texas Medical Branch at Galveston where she participated in the diagnosis, treatment and prevention of common solid tumors, benign hematologic conditions, and hematologic malignancies. She has inpatient, consulting and outpatient experience in the diagnosis and treatment of hematologic conditions, solid tumors and hematologic malignancies. Prior to her training at UTMB, she received comprehensive training in Internal Medicine with rotations at four teaching facilities including Mountain Home VA Medical Center. Prior to her clinical training, she has served as Research Scientist, Postdoctoral and Pre-doctoral Fellow at the University of Texas MD Anderson Cancer Center, in the Department of Molecular Pathology, she planned, organized, coordinated and participated in scientific research projects focusing on evaluating potential effects of several novel anticancer agents in the laboratory. Dr. Zhou received her MD from the Sun Yat-sen University of Medical Sciences, China She also received her Ph.D. in Oncologic Pharmacology from Sun Yat-sen University of Medical Sciences and her M.S. in Clinical pharmacology from the same university. Dr. Zhou is married with one child and enjoys spending time with her family. She enjoys travel, music and singing. Mr. Rojas joined the Houston Cancer Institute, PA in 2007 and his primary responsibility was caring for practice patients in the inpatient setting. More recently he has been caring for patients of the Houston Cancer Institute, PA in the Practice outpatient clinics. Mr. Rojas received his nursing degree in 1984 and subsequently practiced Trauma and Emergency nursing for thirteen years. He subsequently transitioned to supervisory and administrative positions until his graduation in 2001 from Texas A&M University, Corpus Christi. After receiving his Masters Degree of Science in Nursing, Mr. Rojas held numerous positions in Advanced Practice to include Emergency Telemedicine, Geriatrics in Nursing Homes and Memory Care Units as well as medical house calls. Mr. Rojas brings a holistic approach to the care of the patients and provides individualized care that focuses on the patient’s medical issues as well as the effects of the illness on the life of the patient and his or her family. An emphasis on health promotion, patient education/counseling and disease prevention is a core philosophy of the care provided. Ms. McTamany-Allen is a multi-faceted professional with over 16 years of experience providing quality advanced practice family care to patients including diagnosis, treatment and consultation. She works closely with the Physicians at the Houston Cancer Institute, PA to ensure family focused care. Ms. McTamany-Allen received her BSN from the University of Texas, Arlington, Texas and her Master of Science in Nursing from Texas A&M University, Corpus Christie, Texas, in 2000. After receiving her Masters Degree in Nursing, Ms. McTamany-Allen, has held numerous positions in the community Advanced Practice fields to include outpatient Family Medicine, Hospice Care and General Medical Care. Ms. McTamany-Allen brings an advanced practice holistic approach to the patient’s care, with a focus on education, wellness, disease prevention as well as treatment and care through the continuum of the patient’s condition. She provides individualized care and support focusing on the patient’s medical issues and the effect their illness may have on the patient, as well as on the family members. Dr. George Vroulis joined the Houston Cancer Institute, PA, as Consultant Psychologist in 2009. His goal to is provide special programs for patients and their families who need support to deal with the stress of a cancer diagnosis. He also helps families deal with stress management and grief management. In addition he has extensive experience in providing support for patients who need to stop smoking. 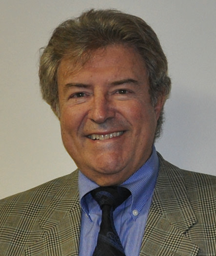 Dr. George Vroulis is licensed by the Texas State Board of Examiners of Psychologists since 1979. He has been a member of the honor societies of the University of Houston, American Psychological Association, American Society of Clinical Hypnosis, World Mental Health Federation and Houston Neuropsychological Society in the EAPA, USA, and Greece. He has an extensive background in the field of neuropsychology and has presented many workshops over the past 20 years which address a wide range of topics from cancer support, staff stress, grief management for terminal patients and their families, stress management, Alzheimer’s disease, anxiety, neuropsychological testing and adult interpersonal communications.